I'm writing a program for a robotics project. 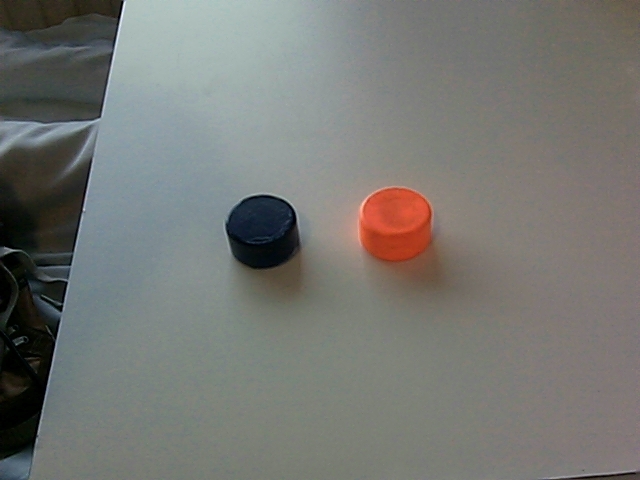 The program has to able to recognize colored pucks en drive towards them to collect them. No troubles so far. Now however i want to use the analog input to collect data from a sharp IR sensor so i can avoid obstacles (like walls) when the get to close. I'm using the Set_Variable module and the Sparkfun_arduino module. When i only use those two modules i'm able to get readings but when i try to combine it with the image recognition part it doesn't work anymore. I'm not sure what the issue might be with the image recognition ... if you can include that in the robofile and how you expect to use it that may show what's going wrong. You may want to clear up the robofile a bit in that you are using two serial communication modules (Arduino and Serial). Perhaps you only want to use one and decide which one. I would also not expect that you would want to use image recognition since your second puck is a nice orange color. Use the marker module to restore the image from the black recognition and use the RGB_Filter module to find that one.